TORONTO, November 1, 2016 – Avanti Computer Systems Limited, a leading provider of Print MIS solutions, today announces its inclusion in DPS Magazine’s 5th Annual Top 30 Readers’ Choice Awards. Each year the publication’s dedicated readership dictates the top 30 winners and five honorable mentions. “Our readers are interested in the latest technologies. They continuously choose some of the most technology forward vendors within the digital print and finishing, packaging, and publishing space,” says Tom Tetreault, editor-in-chief/publisher, DPS Magazine. Using its website metric system, DPSmagdirect.com, the magazine calculates readers’ interest in companies throughout the year. This is done via requests made on print and Web editorial and advertisements as seen in the magazine, on the website, or in DPS Magazine’s weekly eNewsletter. 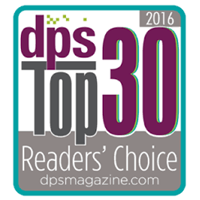 Go to dpsmagazine.com to subscribe and be among the first to see the 2016 Top 30 Readers’ Choice Awards winners. It is released in the November issue, as both a print and the digital publication, the issue is distributed on November 11, 2016. DPS (Digital Publishing Solutions) Magazine spotlights publishing solutions created by the digital revolution. The publication’s mission is to provide a resource of thought-provoking content, spotlighting present applications and success stories in digital-content publishing for business leaders. Its editorial exclusively targets decision-makers charged with harnessing the digital document. Through dynamic implementation of enterprise communication initiatives, DPS readers can maximize their company’s profitability. DPS is the most efficient media resource available, cutting across vertical market boundaries in topic areas including: digital printing, labels and packaging, document capture, storage, document workflow, asset management, content management, customer relationship management, variable data printing, one-to-one marketing, e-billing, ecommerce, and Web publishing. Rockport Custom Publishing is a leading integrated media company focusing on technology. For more information, visit rockportpubs.com.